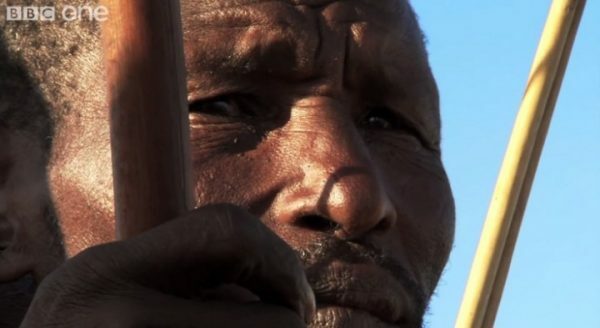 For thousands of years the Dorobo people of Southern Kenya have used the ancient hunting technique of kleptoparasitism to sustain life in West Africa. The practice is defined by feeding on something killed or prepared by another. In this particular case three men wait as a pride of lions kill a wildebeest. What they do next in this clip from an episode of the BBC’s Human Planet will shock you.